It’s Friendship Friday! This is the day to focus on giving back or paying it forward! Have you ever read the book The Tipping Point? It talks about how one person doing one small thing can start a trend which changes an entire town. When I read this many years ago I decided to start looking at things with the perspective of making impact. So every decision I make gets run through my mission statement if you want to call it that. Does this make impact? It doesn’t have to be a big impact, but it needs to make one. Do you have a filter that you run your decisions through? When I woke up and started to scroll through I found this quote that I will leave you with. It is by Desmond Tutu. Here’s to making this place a better one than the one I found one pebble at a time. It’s Friendship Friday! This is the day to focus on giving back or paying it forward. If you didn’t know we just finished the Give Big campaign with the county. This program is a focused effort on giving for 24 hours. Non-profits in the local area sign up to “Give Big”. There are prizes for how many people you get to give, at what time, certain amounts, etc. Did you participate? It’s a great way to make your dollar go further. If you didn’t participate don’t worry, we can still Give Small. I would encourage you to think (and act) every day to create impact or a ripple in someone else’s life for the better. It doesn’t matter if someone is matching your dollar or if it is simply a smile to be shared with a stranger. I would encourage you to just be present in the moment and be aware of how you are affecting others. There’s a list this week for cards. It’s Friendship Friday! This is the day to focus on giving back or paying it forward. As you know there are so many ways to create a ripple that are only limited by our imaginations. Well, this week I am asking you for cards. There are four this week in the crafty family that can use some lifting up. Four! If you want to know what kind of card to create and how to get it to them please contact me. There are often needs in the community, but this time the needs are right here at home with family. It’s Friendship Friday! This is the day to focus on giving back or paying it forward. Go mail the card! Call your friend! Don’t wait. You never know your timing and how much that little thing is needed. Here’s a little video on how much one simple act can change a whole day in a bunch of people. P.S. Cheryl, thanks for posting this and being the inspiration to this week’s give back. Did you sing that a little? Do you remember that song? Not the one from Toy Story, but the James Taylor song. And now you are probably wondering what in the world I am talking about and how does it relate to stamping. Here’s how this comes together. Since today is the day to focus on giving back or paying it forward I want to remind you how the little touches from a friend or even a stranger can mean so much. Last night I went to a meeting disguised as a dinner and it was long, hot (no air conditioning, just swamp cooler), and somewhat aggravating. Just when I started to think that I could seriously just leave early (I had only been there 15 minutes) in walk two good friends. One friend I was there to congratulate on a job well done and the other was there I am assuming to keep me from running out the door. So we sat, shared smirks, sweated a bit, and I have to say I got kicked a few times being reminded to behave. Thank you for keeping me sane last night as this now salty event is behind us. This is a reminder to all of us, especially me, of what friends mean to us. Be a friend. Share a sweaty evening together and make a memory. Thank you for being a true friend and even showing up with a cold iced tea. You are amazing and made such a difference at least to me. Make a difference to someone today. You never know what will be that moment for someone. This is why I do what I do. Make your ripple. This is not my normal post for a Wednesday, but it’s Valentine’s Day. Instead of a product being wacky today, I am. I am sending out these two cards wherever you tell me to. I am sure someone needs a valentine that won’t get one. The inside of the card will read “(Name of who responds) had you on their heart and wants you to know that you are loved. Happy Valentine’s Day! 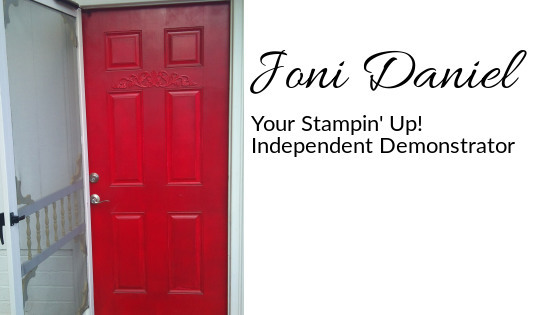 Sincerely, Joni (signed for whomever)”. Do you have someone that needs some happy mail? Tell me by 3:00 pm today and I will get it out in the mail for you today. Here’s to happy mail. Happy Valentine’s Day!